On the credibility of the EU: Quickly and specifically implement proposals from the Task Force on Subsidiarity! It is essential for the credibility of the EU to rapidly and effectively implement the proposals of the EU’s “Subsidiarity” Task Force. People do not want more than absolutely necessary to be decided in Brussels. 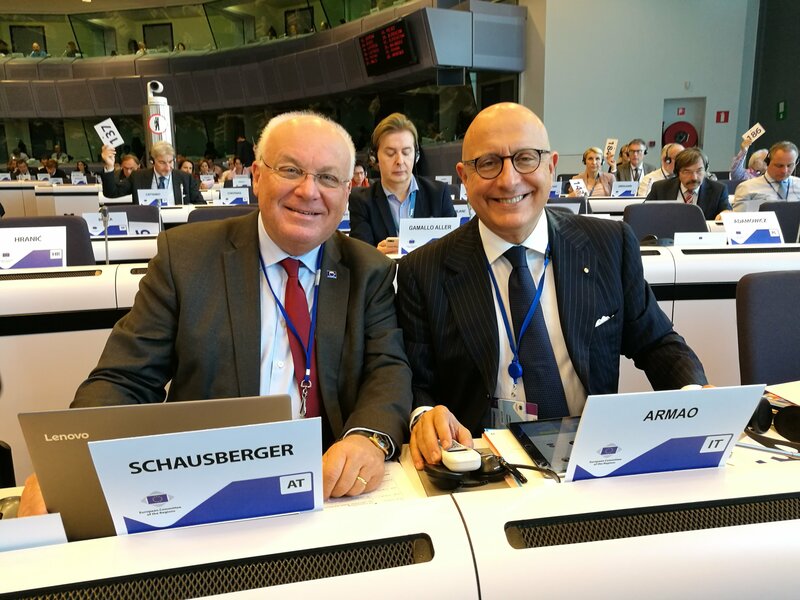 The regions, cities and municipalities must play a more important role in the EU of the future, said the representative of the Land Salzburg in the CoR and IRE Chairman Franz Schausberger in the plenary session in Brussels on the 9th of October 2018. In 2009, the Treaty of Lisbon formally strengthened the subsidiarity principle, as well as the regions and local authorities, but in reality the development has been quite different. Over the last ten years, many European countries have been centralized and not decentralized, the EU’s regulatory density and bureaucracy have increased enormously, and the opportunities created by the early warning system and the subsidiarity case have hardly been used in practice, Schausberger noted. Now, the Task Force on Subsidiarity has been set up, involving the European Commission, national parliaments and the CoR. The European Parliament unreasonably refused to participate. Unfortunately, after presenting the report of the Task Force with concrete proposals to the President of the European Commission, in his annual speech to the European Union, he did not mention this topic at all. In order to give the EU more credibility, it was therefore urgently necessary to implement the proposals of the Task Force as quickly and concretely as possible, demanded Schausberger. It is not enough to confess to the principle of subsidiarity in Sunday speeches, without taking measures for concrete implementation.